Invention of the modern technologies is boon for the business work. Effective use of modern technologies improves business efficiencies. 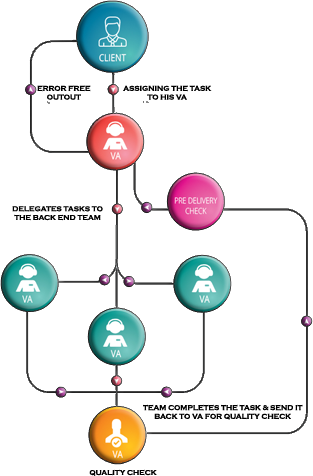 Virtual assistant services (VAS) include impressive technological supports to increase business efficiency. Professional and reliable virtual assistance services are the asset of any organization. 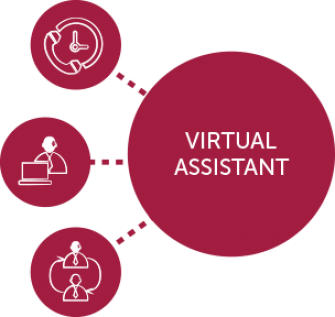 The market of virtual assistance services in India is growing fast.But, what we found is, most of the virtual office assistants are not reliable. They hardly meet the target of data compilation. To boost your business it is always important to select qualified VA services. Let us introduce you with the best virtual assistant services, exclusively offered by AnyTimeAssistance. Our experts are here to meet all of your expectations to the virtual assistances. We will be your virtual helping hand and help you to increase business efficiency. and therefore only hire the professional personal for the job profile. The employees of the AnyTimeAssistance are always focused in their work. They take care of each of the issues within time.They always have watchful eye on the system so that you can have spare time from your business. Our work efficiency is significantly high. So, you can rely on us with heavy data management.Being your virtual assistant, we maintain transparency in working process and meet the project deadline without any haste. Efficient teamwork along with excellent leadership developed the base of our organization,which is strong as well as effective. Our efficient working procedure helps the clients to improve their business performances. clients that improve their work efficiency. for both data mining and online research. which will guarantee the increase of page traffic. every day and responding to the online fans of the website. facilities that our clients have while sign up with us. up late night to complete project reports and presentations. responsibilities of researching and basic bookkeeping. with the customers and making them feel comfortable and special. comfortable from different parts of the globe. the customers for longer hours.